Nice rounded kidney-shaped leaves that last well into the Spring. 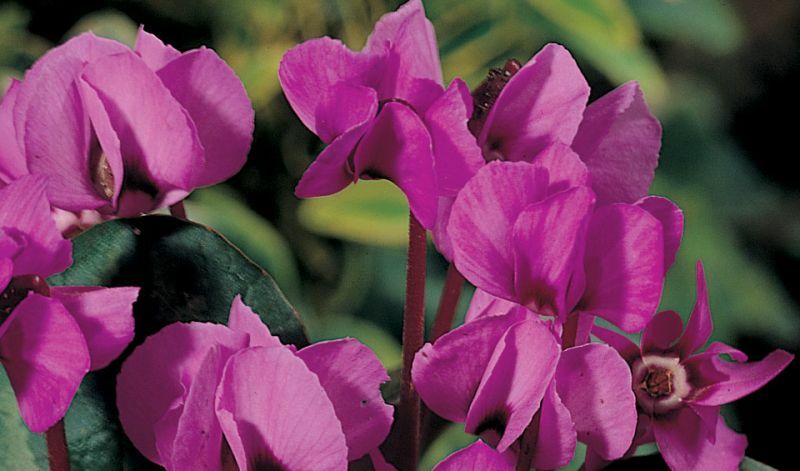 This species can stand very cold temperatures and will self-seed and naturalize faster than any other hardy cyclamen. Seeds even flower by the end of their very first year and invitably by the second. In front of shrubs, around trees, mixed borders and in rock gardens.